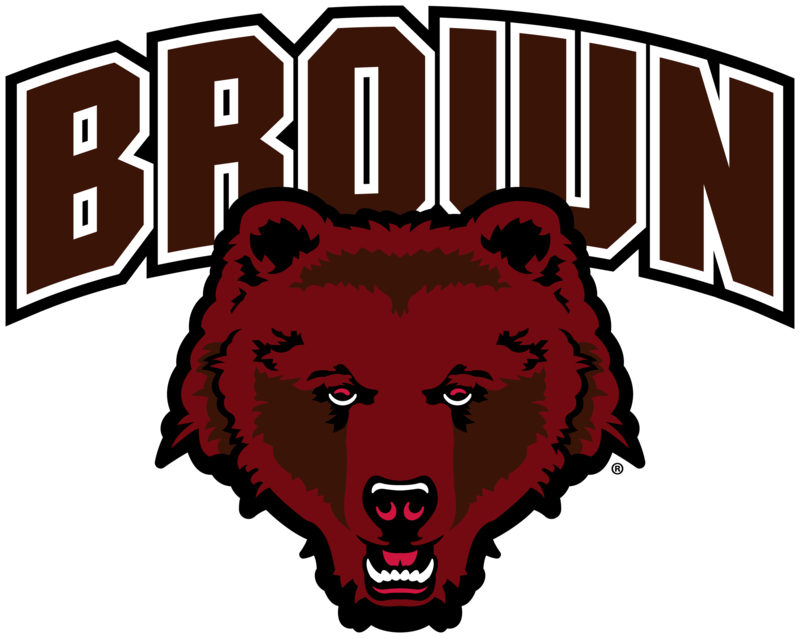 Mike Martin was named the Ivy League's Coach of the Year after guiding the Bears to 19 wins, matching the school record for victories in a season set by the 2008 squad, who also earned a CBI berth…senior captain Obi Okolie is the second Brown player to be named the Ivy League Defensive Player of the Year…a second-team All-Ivy selection, his 1,027 career points rank 28th in Brown basketball history…sophomore forward Tamenang Choh led the Ivy League in rebounding (8.7 rpg) and garnered second-team All-Ivy honors…he has posted 10 double-doubles and also leads the Bears in assists with 97…sophomore guard Desmond Cambridge, a USBWA first-team All-District I pick, was the Ivy League's fourth leading scorer (15.7 ppg), ranked second in blocked shots (1.7 bpg) and scored 30 or more points three times. 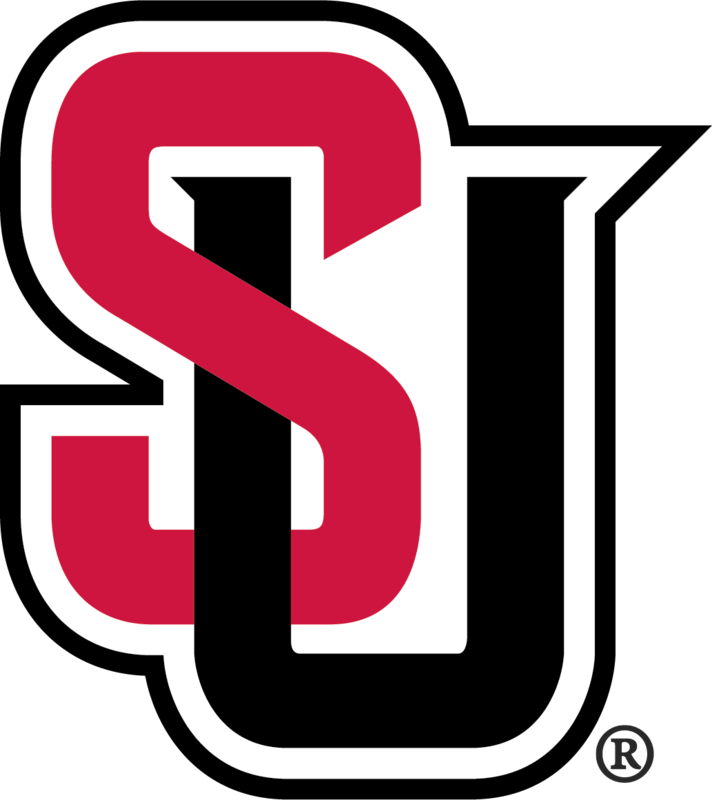 The Lancers secured 16 wins as a program in their first-year of a four-year transition process to NCAA Division I status - the most wins by a first-year team that is an RPI counter (playing four or less non-Division I opponents on its schedule)…Grand Canyon previously held the mark with 15 wins in 2013-14…the 2018-19 Lou Henson Award Mid-Season Watch List included sophomore guard Milan Acquaah, who was also named first-team All-WAC and WAC Newcomer of the Year…senior Jordan Heading will take claim of the school-record for most games played in a Lancer uniform in the CBI opener…he is currently tied at the top of the list with 127 games played…Heading also holds the school record with 228 career 3-pointers made and sits seventh in assists (340) and eighth in points (1,474) in program history. Central Michigan has posted back-to-back 20-win seasons for the first time since 1965-66, 1966-67….under head coach Keno Davis, the Chippewas have posted five consecutive seasons with a .500 record or better, the program’s longest such streak since the early 1970s (1969-75)…senior guard Larry Austin Jr. was named second-team All-MAC and earned earned a spot on the MAC All-Defensive Team…senior guard Shawn Roundtree Jr. received third-team All-MAC honors…the two combine to form the MAC’s highest-scoring guard tandem...senior guard Larry Austin Jr. broke the Central Michigan single season records for steals (76) and assists (200) in 2018-19. 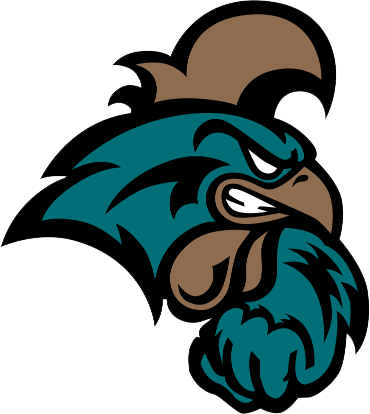 Senior Zac Cuthbertson, a second-team All-Sun Belt selection, scored his 1,000th career point for the Chants in the final regular season game of the season, becoming the 22nd player in CCU history to reach the milestone, but more importantly, only the third to do it in just two seasons…freshman DeVante Jones came back from an injury in the second game of the season to be named the Sun Belt Freshman of the Year…he missed a total of 12 games, but came back to average double digits in winning the award and leading all freshmen in scoring in the conference….freshman Ebrima Dibba also was injured and missed eight games, but came back to lead the Chants in assists with 106 and steals with 33…junior Tyrell Gumbs-Frater has made 65 3-pointers this season on 44 percent shooting. First-year head coach Mark Gottfried has led the Matadors to their most overall wins and Big West Conference wins since the 2013-14 season, more than doubling their win total from the previous season…CSUN features one of the youngest teams in the country with seven freshmen, including five true freshmen who made their debuts this season…freshman Lamine Diane leads the nation in field goals made (329) and is in the Top 10 nationally in points per game (24.7) and rebounds per game (11.3)…Diane became the first Big West player in history to win Player of the Year, Freshman of the Year, and Newcomer of the Year accolades…he also earned USBWA All-District IX honors…Diane was joined on the All-Big West first-team by sophomore Terrell Gomez. 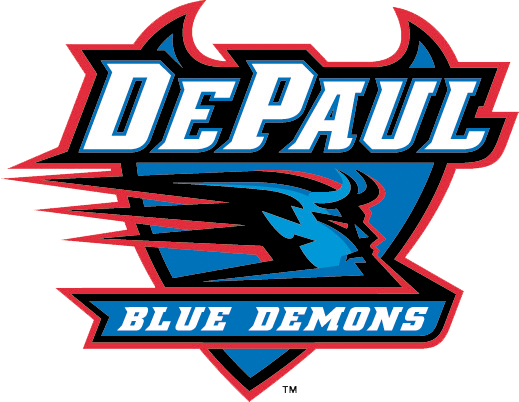 DePaul’s 15 wins are the most since recording 20 during the 2006-07 season…the Blue Demons are led by seniors Eli Cain, Femi Olujobi, and Max Strus…the trio are the team’s top three scorers with Strus at 18.8 ppg, Cain with a scoring average of 13.2 ppg, and Olujobi at 13.0 ppg…Strus was named a second-team All-Big East honoree and was tabbed the league’s player of the week three times during the season…sophomore Paul Reed was named the Big East Most Improved Player for leading the league in rebounding (8.1 rpg) and posting a scoring average of 11.1 ppg…the Blue Demons have hit a 3-pointer in 800 consecutive games…Dave Leitao is in the fourth year of his second stint as head coach at DePaul…he previously led the Blue Demons from 2002-05. Grand Canyon advanced to the championship game of the WAC Tournament and has won 20 games for the fourth consecutive season under head coach Dan Majerle…GCU is 18-4 this season when outrebounding its opponent and 2-8 when losing the rebounding battle…junior Carlos Johnson scored a career-high 35 points in the WAC semifinal win over Utah Valley, one night after his previous career-best mark of 31 points vs. Seattle in the quarterfinals…senior Michael Finke was named to the All-WAC first-team, while Johnson earned second-team honors…senior Gerard Martin earned All-Defensive team acclaim for the second time in his career…the Lopes are making their second consecutive CBI appearance. 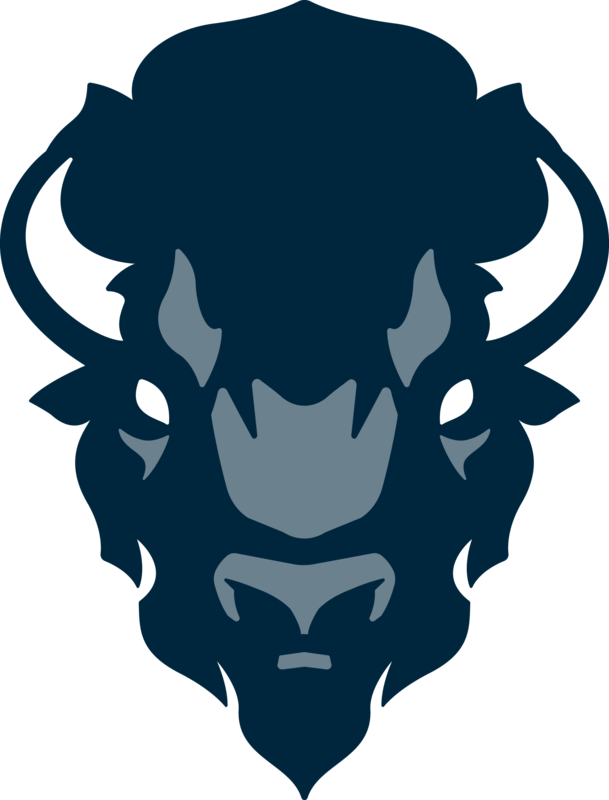 Howard’s 17 wins mark only the second time in the last 37 years that the Bison have won that many games…head coach Kevin Nickelberry leads the Bison into the postseason for the first time since 1992…sophomore R.J. Cole followed up his 2017-18 MEAC Rookie of the Year award with the 2018-19 MEAC Player of the Year honor…junior Charles Williams joined Cole on the All-MEAC first-team while junior Chad Lott earned third-team honors…Cole is the fastest Bison to reach 1,000 points in program history (44 games)…Howard leads the conference in scoring (79.2 PPG)…the Bison are the youngest team in the MEAC. 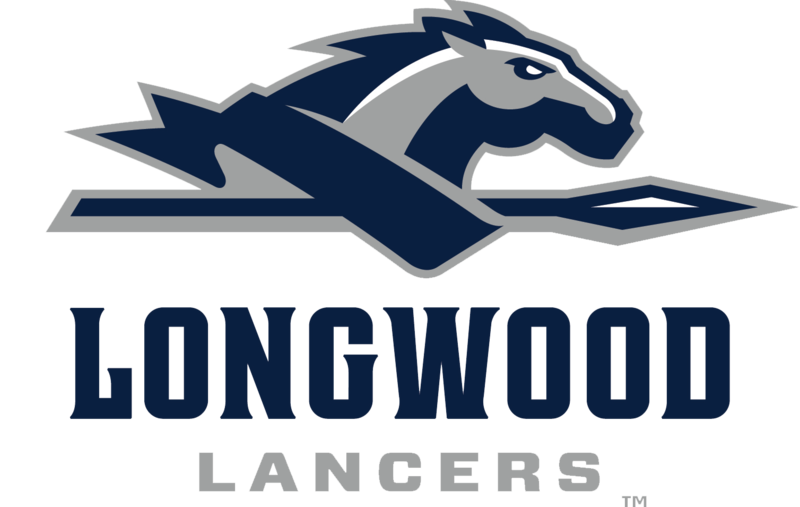 Longwood is making it’s first-ever Division I postseason appearance (joined D-I in 2004-05)…with 15 wins, the Lancers recorded the second-most wins in the program’s Division I era under first-year head coach Griff Aldrich…for that, Aldrich named as a finalist for Joe B. Hall National Coach of the Year award…Longwood experienced an eight-win improvement from last season, tied for the largest turnaround under any new head coach in the country in 2018-19…the Lancers led the Big South in opponent field goal percentage (.411) and broke school’s single-season record with 302 made 3-pointers…junior guard Shabooty Phillips, a member of Aldrich’s first recruiting class, earned an honorable mention Big South All-Conference. LMU enters the CBI having won 20 games for the second time since 1989-90 and started the 2018-19 season with program records at 8-0 and 11-1…head coach Mike Dunlap won his 400th career NCAA game with a 76-64 win over Portland on Jan. 5…senior guard James Batemon scored the 1,000th career point of his two-year career on Feb. 23 in the win over Pacific, becoming the 35th LMU player to hit the 1,000 point milestone…for his efforts, he was named to the All-WCC first-team and the Lou Henson award watch list…the Lions rank in the top 15 in the NCAA in scoring defense at 62.8 ppg…Batemon (1st), Joe Quintana (5th), and Jeffery McClendon (6th) all rank among the top six in the WCC in steals per game…LMU won the 2018 Jamaica Classic in November with wins over Georgetown and Ohio. 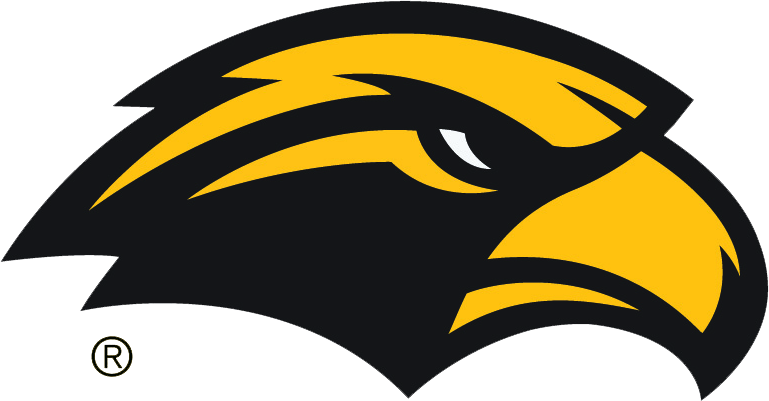 The Golden Eagles are making their 15th postseason appearance but first since the 2012 NCAA Tournament (2013 and 2014 NITs were vacated)…Southern Miss rallied from an 0-3 Conference USA start to earn the No. 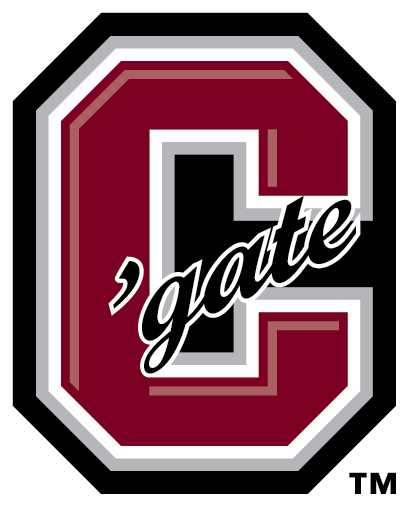 3 seed and a bye in this year's league tournament, becoming only the third team in the last decade to accomplish that feat…head coach Doc Sadler inherited a two-year postseason ban and strict scholarship reductions that will last through next season…his first six wins at the school were also taken away, so after 20 countable wins his first three years, he has taken the team to 36 in the last two seasons…senior Tyree Griffin's 227 assists mark a single-season record…in just two years, he is No. 3 in career assists…senior Cortez Edwards is the only player to rank among the school's top 20 in scoring, top 15 in rebounds, and top 10 in assists…he also owns the school's career record for steals, and is three away from matching his own single-season record (71), set last year. 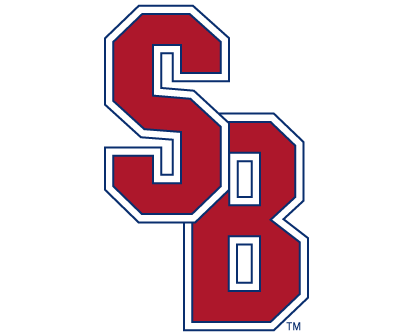 Stony Brook enters the CBI with a school Division I record 24 regular season wins…Stony Brook finished among the top two in the America East for the second time in the last three seasons with Geno Ford on staff…the Seawolves rank among top 10 nationally in rebounding at 40.7 rpg…Stony Brook ended the regular season third in total rebounds, trailing just Duke and North Carolina…SBU finished 8-2 in games decided by five points or less…sophomore center Jeff Otchere, the America East Defensive Player of the Year, was one of the nation’s leading rim protectors, currently sitting 11th in the nation in total blocks…junior Akwasi Yeboah was named to the AEC first-team, sophomore Elijah Olyani garnered third-team honors, and freshman Miles Latimer earned All-Rookie Team laurels…SBU previous played in the 2014, 2015, and 2017 CBIs. UAB advanced to the semifinals of the C-USA Tournament…Zack Bryant, a third-team All-C-USA pick, is the Blazers’ leading scorer at 14.9 ppg….the sophomore had back-to-back 20-point games in the C-USA Tournament with 24 vs. UTSA in the quarterfinals and 23 vs. ODU in the semis…senior Lewis Sullivan is the team’s second leading scorer at 12.1 ppg and top rebounder at 6.8 rpg…he has scored double digits in 10 straight games and 13 of his last 14 games….at 20-14, UAB has won 20 games in back-to-back seasons and four of the last five….the Blazers top wins include Old Dominion, at Western Kentucky, at Southern Miss, and UTSA (twice)….UAB also pushed then-No. 8 Auburn to the limit before falling in overtime, 75-71. In just his second season at USF, head coach Brian Gregory has the Bulls tied for the fifth-most single-season wins in school history with 19 after inheriting a team coming off a 10-win season…he has also guided USF to the postseason for the first time since 2012…junior guard Laquincy Rideau, the AAC Defensive Player of the Year, enters the CBI with 82 steals this season and owns the USF and AAC single-season steals record…USF leads the NCAA with 887 free throws attempted…Alexis Yetna was named the AAC Freshman of the Year, giving USF its first conference Freshman of the Year since 1979. 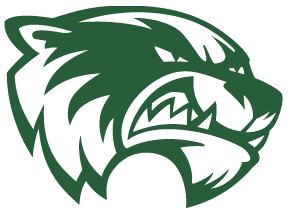 Utah Valley won a school-record 24 games this season, surpassing the previous record of 23 set last season, marking the first time in school history that the team has recorded back-to-back 20-win seasons…UVU head coach Mark Pope has been named one of the 25 finalists for the 2019 Hugh Durham Award, presented annually to the nation’s top mid-major coach...senior Conner Toolson became just the eighth player in UVU history to score 1,000 points this season…junior Jake Toolson was named the WAC’s Player of the Year, while Wyatt Lowell earned WAC Freshman of the Year honors, the first such honorees in UVU history…the Wolverines are playing in the CBI for the third straight season, reaching the semifinals in 2017. West Virginia advanced to the semifinals of the Big 12 Tournament with a roster that features six freshmen, 1 sophomore, and five juniors…freshman forward Derek Culver was named to the All-Big 12 All-Conference second-team and was a unanimous selection to the All-Freshman Team…with a win at Oklahoma State on Dec. 29, 2017, Bob Huggins moved past Jim Phelan on the NCAA Division I winningest coaches list…Huggins’ record now stands at 858-360 in his 37th season as a head coach…he needs 18 more victories to tie Adolph Rupp for seventh place all-time…Huggins is the fourth-winningest active Division I coach behind Mike Krzyzewski, Jim Boeheim, and Roy Williams…Huggins’ teams have participated in postseason play in 33 of 37 seasons…WVU has made 15 postseason appearances in the last 16 years, including the NCAA Final Four in 2010…WVU has wins over then No. 7 Kansas, No. 7 Texas Tech, and No. 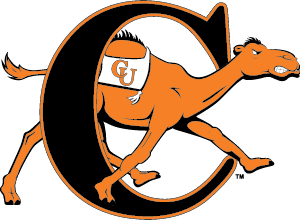 25 Iowa State in 2018-19.
tournament in six years and posted their best conference victory total (10) since 2012 (11-7)…Campbell is making back-to-back postseason appearances for the first time in the program’s NCAA Division I era (since 1977-78)…junior guard Chris Clemons ranks among the nation’s scoring leaders (25.2 ppg) and is Campbell’s all-time career leading scorer with 2,214 points, third on the all-time Big South scoring list…Clemons, who earned Big South all-conference honors for the third-straight year and first-team recognition for the second-consecutive season, owns the nation’s longest current active double-figure scoring streak (81 games)…backcourt mate Marcus Burk averages 15.2 points per game. Canisius is 21-11 overall and posted a school-best 15-3 mark in MAAC play to earn a share of the 2017-18 MAAC regular-season championship with Rider, the program’s first MAAC regular-season crown since 1993-94…the 21 wins for the Griffs this season ties the school record for regular-season victories…Canisius has won 16 of its last 20 games, dating back to the end of December…three Canisius players earned All-MAAC honors this season, the most for the team since 2006-07…senior Jermaine Crumpton and sophomore Isaiah Reese are the first two Griffs to earn All-MAAC first-team honors since 1995-96, and freshman Takal Molson was named to the MAAC All-Rookie Team…Crumpton was also voted as the 2018 MAAC Co-Player of the Year, while Molson was tabbed as the MAAC Rookie of the Year…this will mark the fifth time in the last six seasons that Canisius has earned a postseason berth and the first time Canisius has competed in the CBI. 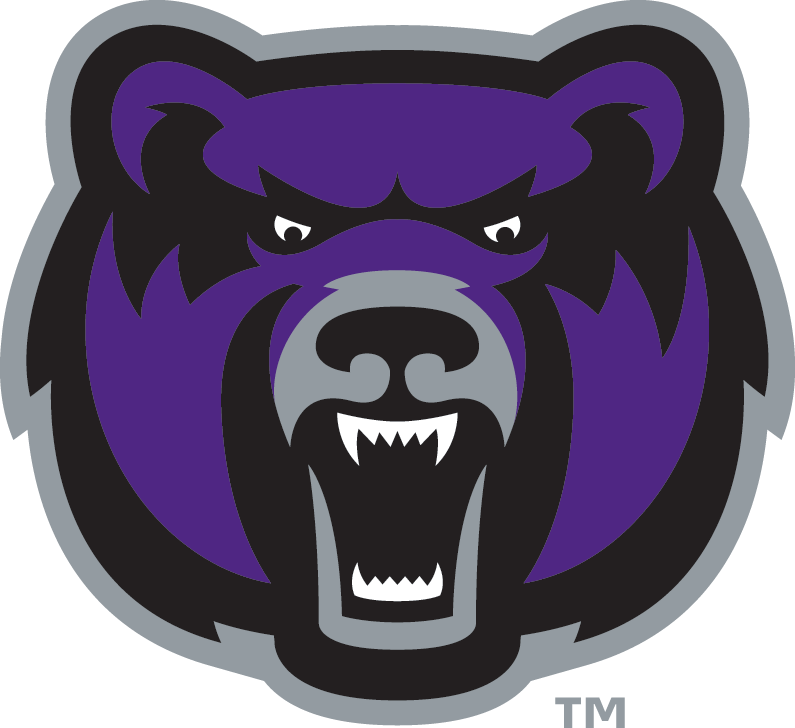 UCA has won a Division I school record 18 games this season (UCA moved up in 2006-07)… the Bears made back-to-back trips to the Southland Conference Tournament for the first time in 2016-17 and this season, since becoming eligible in 2010-11…senior Jordan Howard set the Arkansas Division I and UCA school record for career points with 2,509, breaking Arkansas All-American Todd Day's D-I mark and UCA Hall of Famer Clifton Bush's UCA mark…Howard also is among the top three active players in both scoring and 3-pointers (384)…classmate Mathieu Kamba ranks among the Top 10 in UCA history in scoring (1,441) and rebounding (702)…UCA has started three freshmen down the stretch: center Hayden Koval and guards Matthew Mondesir and DeAndre Jones…Koval and Jones both had triple-doubles this season, just the second and third in UCA history after Scottie Pippen in 1986-87.
Colgate advanced to the championship game of the Patriot League tournament for the first time since 2008…the Raiders have won a school record 19 games and their 13 home wins tie the program record and marks the most in 91 years (1926-27)…for this, head coach Matt Langel was named the Patriot League Coach of the Year…sophomore forward Will Rayman led four Raiders on the Patriot league all-conference team, earning second-team laurels…seniors Sean O’Brien and Jordan Swopshire garnered third-team honors and Jordan Burns was named to the All-Rookie team. Eastern will be making it sixth appearance in a national postseason tournament in school history, earning NCAA Tournament bids in 2004 and 2015, an NIT berth in 2003, the last two CBIs….Big Sky MVP Bogdan Bliznyuk is averaging 21.0 ppg, 6.8 rpg, and 3.9 apg, and was the only player in the league to rank in the top 10 in all three categories…with a current total of 2,142 points, he broke the 24-year old league all-time career scoring record of 2,102 points…the Eagles are 20-14 on the season and finished 13-5 in the Big Sky, and have won 17 of their last 23 games…at 20-14, Eastern has reached 20 wins for the fourth time in Eastern’s 35-year Division I history…first-year head coach Shantay Legans’ 20 wins are the most by a first-year Eastern coach in EWU’s NCAA Division I era. GCU ranks first in the nation in 3-point defense, allowing opponents to shoot just 27.0 percent from beyond the arc…they also have allowed the fewest 3-pointers per game, allowing 4.57 per contest….the Lopes have won at least 22 games for the third consecutive season under head coach Dan Majerle, including 103 games in his 5-year tenure to date…GCU advanced to the title game of the WAC Tournament with freshman Alessandro Lever and senior Keonta Vernon being named to the All-Tournament team…senior Casey Benson played in his fourth conference tournament championship game after appearing in three title games with the Oregon Ducks from 2014-17..senior Joshua Braun broke the GCU all-time 3-point record earlier this season with 257 made 3-pointers in his 4-year career…he is also a two-time first-team Academic All-American. 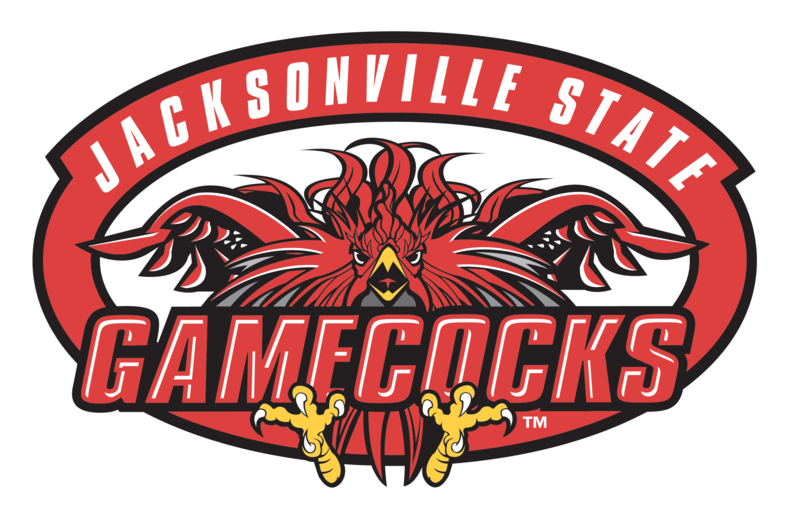 Jacksonville State claimed consecutive 20-win seasons since joining the Division-I ranks, and just the third time in the program’s Division-I era it won 20 games in a single season….senior Malcolm Drumwright and junior Jason Burnell were named All-Ohio Valley Conference with Drumwright being tabbed second-team All-OVC for the second year in a row, and Burnell being named to the All-Newcomer Team…Drumwright has started 70 consecutive games at the point for the Gamecocks and has 103 starts in 124 career games – both school records...junior Christian Cunningham has been among the nation’s top rebounders and shot-blockers for the past two seasons and ranks first among active OVC players for shots blocked with 156 and second in rebounds with 614. 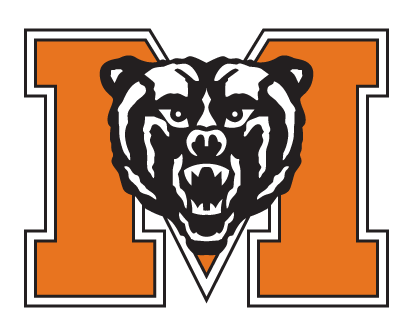 Mercer has won nine of its last 10 games…the Bears had won eight straight until they lost to Wofford in the Southern Conference tournament…three Mercer seniors – Stephon Jelks, Jordan Strawberry, and Demetre Rivers – all joined the 1,000-point career scoring club this season…Strawberry has 1,175 career points; Jelks has 1,109 career points; and Rivers has 1,060 career points…Jelks and Strawberry earned second-team All-SoCon..Jelks, who is the second leading rebounder in the SoCon (7.3) and leads the league with seven double-double performances on the season, is one of only three players in Mercer history to score more than 1,000 career points and grab more than 800 career rebounds…the Bears previously played in the 2015 CBI. 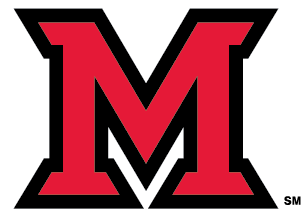 First-year head coach Jack Owens brought in six new players this season and immediately changed the culture of the team, leading the RedHawks to a five-win improvement and a trip to the MAC tournament quarterfinals for the first time since 2016…junior guard Darrian Ringo is the catalyst for the team and ranks among the top five in the country in both assists and steals…freshman guard Nike Sibande was named the MAC Freshman of the Year and leads Miami in scoring at 14.7 ppg…defensively, the RedHawks were the second-best in the MAC, holding opponents to 69.9 ppg…this season Miami "adopted" 15-year-old Jackson Hogenkamp who is suffering from osteosarcoma, a type of bone cancer….he is often on the team bench cheering the team on when he can make it, and the team frequently texts and calls him to keep in touch and send him best wishes…Miami previously played in the 2008 and 211 CBIs. per game…sophomore guard Ryan Woolridge has dished out a school record 213 assists…as a team, the Mean Green have set the school record with 296 3-pointers made this season…this marks the first postseason tournament berth for North Texas since 2010, when it reached the NCAA Tournament. 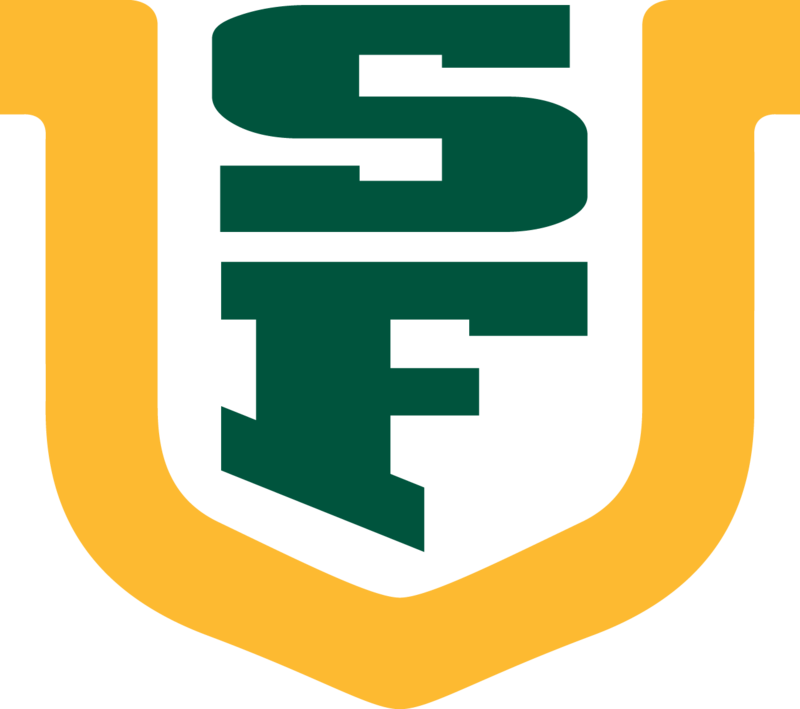 Seattle clinched its first Division I 20-win season since 1963-64 with a 77-60 victory over UTRGV on Mar. 8 in the WAC Tournament quarterfinals...the 20-win season is the 12th all-time and third with as Division I program (two 20+ win seasons at Eastern Washington) for head coach Jim Hayford…three Redhawks earned postseason honors from the WAC as junior center Aaron Menzies was named to the second-team and All-Defensive team, sophomore guard Matej Kavas was named to the second-team All-WAC and graduate guard Jordan Hill was named to the All-Newcomer team…the Redhawks have set a handful of modern-day DI program records including single season points (2,499), 3-pointers (300), free-throw percentage (.743) rebounds (1,254), and blocks (119)...Seattle played in the 2015 and 2016 CBIs. UTRGV is making its second-ever postseason appearance at the NCAA Division I level and first since the 1981, when legacy institution Pan American University made the NIT…the Vaqueros’ 15 wins are the most since 2012-13…Nick Dixon earned All-WAC first-team honors and is the WAC’s leading scorer overall at 20.6 points per game...Dixon has scored 659 points this season, the eighth-highest single-season total in program history…Dixon has hit 219 free throws, the second-highest single-season total in program history and one off the record of 220 set by Luke Jackson (1963-64)...Dixon also ranks 12th in program history with 1,271 points and can break into the top 10 with 11 points in the CBI…Dan Kimasa ranks third in program history with 98 career blocks…he and fellow senior Adonis Rwabigwi are the only two student-athletes in the NCAA from Rwanda. The Privateers advanced to the quarterfinals of the 2018 Southland Tournament despite playing without their two leading scorers - Travin Thibodeaux (16.3 ppg) and Bryson Robinson (9.5 ppg), who did not play in the CBI opener…UNO is making its second straight postseason appearance and only two active players off last season's NCAA tournament team are with UNO this season - Makur Puou and Matthew Jiles…the Privateers have used 15 different starting lineups this season with Puou leading the team with 28 starts…head coach Mark Slessinger is four games away from tying for most games coached in UNO history (211)..New Orleans ranks in the top 25 nationally in turnovers forced and top 50 in steals per game. seasons...USF had two players earn All-WCC honors, guard Frankie Ferrari was named first-team All-WCC and Souley Boum earned All-Freshman acclaim…USF has set a school record this season with 321 3-pointers...the Dons own the top strength of schedule in the WCC at 89 and besides Gonzaga is the only team in the WCC with a win over a team with a Top-25 RPI…with its place in the CBI, USF is in the postseason in back-to-back seasons for the first time since 2011-12…the Dons have previously played in the CBI in 2012 and 2017. 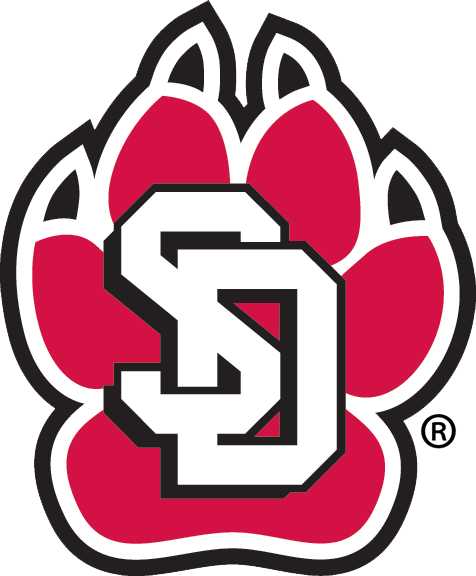 South Dakota set the Division I school record for victories in a season with 26 and is one shy of the overall school record for wins in a season set in the 2004-05 season in advancing to the Summit League championship game…the Coyotes are led by two-time first team All-Summit League selection Matt Mooney, who averages 18.6 ppg and has tallied over 1,200 points in just two seasons at USD…Tyler Hagedorn has had a breakout season, which earned him second-team all-Summit League accolades for posting 13.2 points and 5.8 rebounds per game…the Coyotes placed three on All-Summit League teams, the most they have had honored as part of the league…Triston Simpson earned honorable mention accolades and Nick Fuller was named to the all-newcomer squad. 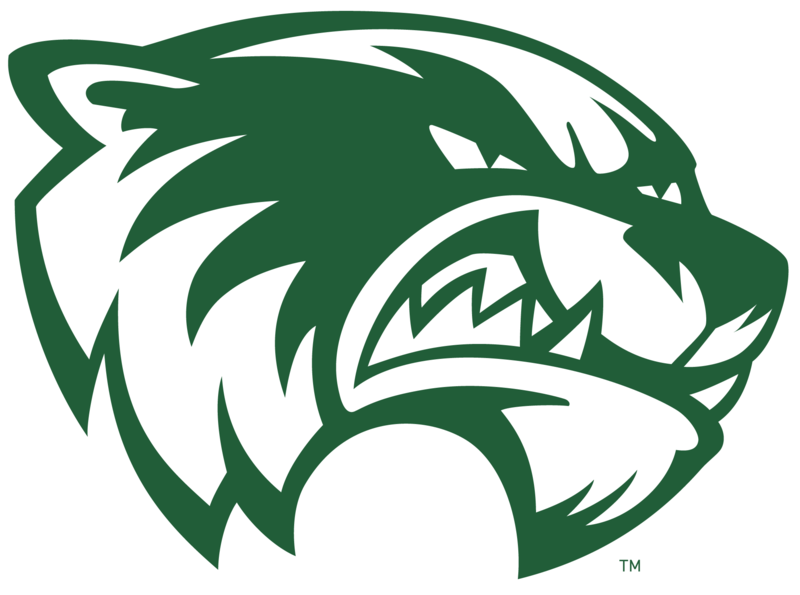 UVU players earned WAC postseason honors as Kenneth Ogbe was named to the All-WAC first-team, while Conner Toolson and Brandon Randolph earned second-team All-WAC honors…Akolda Manyang was named to the WAC’s All-Defensive team and Jake Toolson was named to the WAC All-Newcomer team…Utah Valley set a single season school record with its 23rd victory of the season on Tuesday, the fifth time in school history that a team has won 20 or more games…the Wolverines have five players averaging double figures, led by Kenneth Ogbe (13.3 ppg) and Akolda Manyang (13.2 ppg)…UVU opened the season with what might just be the toughest 24 hours ever played in college basketball history as the Wolverines took on No. 4/5 Kentucky and No. 1 Duke on back-to-back nights to open the season…UVU advanced to the semifinals of the 2017 CBI. 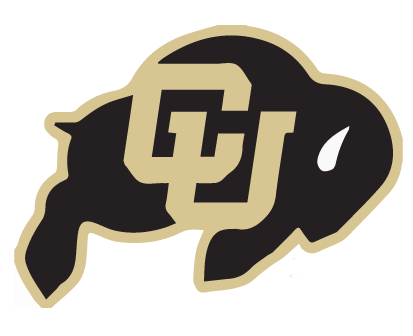 The Buffaloes enter the CBI having won three of their last five games, shooting 50.2 percent from the field during that span…Colorado, one of the youngest teams in the country, is paced by junior Josh Scott, who averages 14.0 ppg and a team-best 8.0 rpg…now in his fifth season, head coach Tad Boyle has posted a 107-67 (.615) record, which ranks him as the fourth winningest coach in CU history…in the previous four seasons, the Buffs went to three-straight NCAA Tournaments and one NIT Final Four. 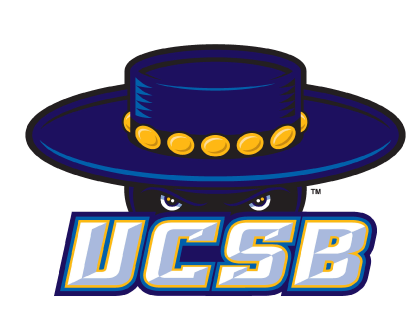 The Gauchos reached the semifinals of the Big West Tournament before falling in overtime to eventual champion UI Irvine…UCSB posted a 19-13 record on the year, including an 11-5 league ledger, good for a tie for second place…senior center Alan Williams is just the second player in school history to surpass 1,700 career points and will enter the CBI with 1,714 for his career…his 1,115 career rebounds rank second all-time in the Big West…the three-time all-league first-team pick was joined on the All-Big West first-team by junior guard Michael Bryson. 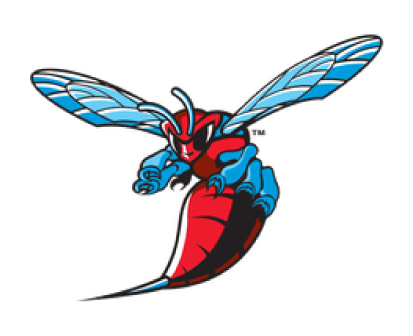 With an upset of previously unbeaten North Carolina Central, Delaware State advanced to the title game of the MEAC Championship for the first time since 2007…head coach Keith Walker has led a resurrection at DSU, inheriting a team that was 9-21 a year ago…senior center Kendall Gray was named the MEAC Player of the Year and Defensive Player of the Year and enters the CBI with 11.7 ppg and 11.8 rpg…he is just the second player in league history to earn both awards the same season… Amere May is the MEAC’s leading scorer at 21.0 ppg…this is the Hornets’ first postseason since the 2007 NIT. 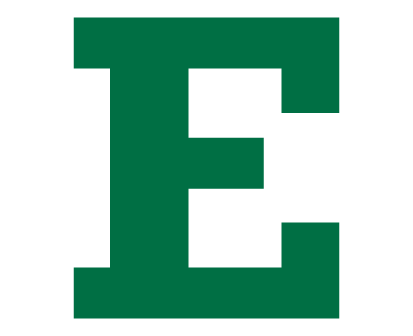 The Eagles enter the CBI with a 21-13 record after a run into the quarterfinals of the Mid-American Conference Tournament…the 21 wins mark the second-straight season that the Green and White have posted 20-or-more wins for the first time since the 1996-97 and 1997-98 campaigns…sophomore guard Raven Lee earned All-MAC third-team honors while senior forward Karrington Ward earned honorable mention acclaim…Eastern Michigan has held teams to a 38.4 shooting percentage from the floor, good for 11th in the NCAA, while their 8.6 steals per contest is also good for 11th. 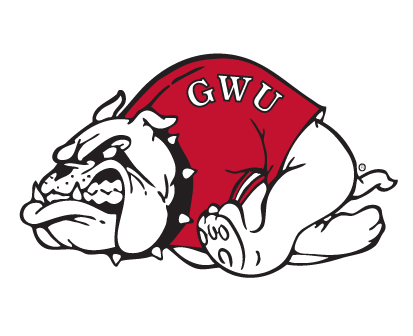 In posting 20 wins this season, Gardner-Webb earned wins against Clemson and Purdue…the Bulldogs advanced to the semifinals of the Big South Championship…tied a program record with three Big South selections this season as Jerome Hill became the first Runnin’ Bulldog to earn Big South All-Conference first-team honors since the school joined the league in 2008-09…senior guard Tyler Strange garnered all-conference honors for the first time in his career, earning a spot on the second-team, while sophomore Tyrell Nelson was named to the All-Academic team…lead the Big South in scoring at 74.7 ppg. 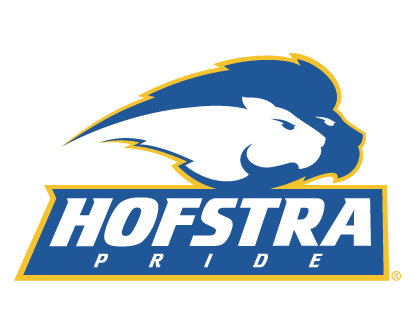 Heading into last weekend, Hofstra was tied for the ninth-most road wins in Division I with 11…the Pride set a school record this season with 295 made 3-pointers, eclipsing the previous mark of 256 set during the 2006-07 campaign…this season marks the 10th time in program history (D1 era; since 1972-73) that Hofstra has won at least 20 games…junior guard Juan’ya Green was the first Pride player to earn All-CAA first-team honors since Charles Jenkins was a three-time first-team selection (2009-2011)…graduate guard Dion Nesmith was named to the CAA All-Academic team for the second time…junior forward Ameen Tanksley was named to the All-CAA second-team. 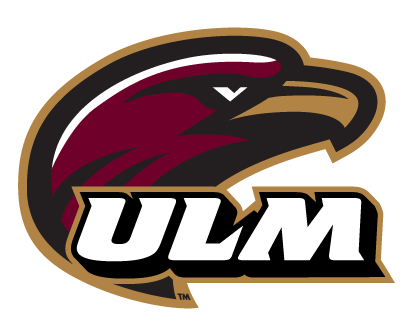 ULM notched its 11th 20-win season in school history and the first since 2001-02 in going 21-12…the 21 wins are the most since 1992-93…it is also the Warhawks’ 39th winning season in school history and the first since 2006-07…head coach Keith Richard won his second career Sun Belt Conference Coach of the Year award…senior Tylor Ongwae was named to the All-Conference first-team and junior Majok Deng earned All-Conference third-team honors…Ongwae became the first-ever ULM student-athlete to earn All-SBC first-team accolades…it also marked the first time ULM had two All-SBC players in the same year. The Ramblers are making their first postseason appearance since advancing to the NCAA Sweet 16 in 1985, where they fell to Patrick Ewing and No. 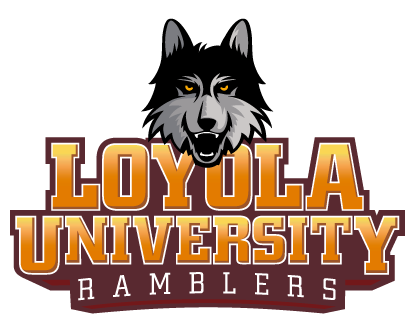 1 Georgetown…Loyola is one win shy of just its second 20-win season since 1985…the Ramblers are one of seven NCAA Division I teams to win as many as 19 games this season after winning 10 or less last season (one of only two from a top 10 conference (KenPom) – Temple))…after going winless in 14 true road games last season, the Ramblers are over .500 on the road and are 10-7 in away/neutral games this year. 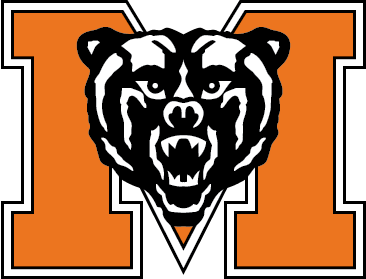 Mercer is in the postseason for a school-record fourth consecutive year, which includes an upset of third-seeded Duke in the 2014 NCAA Tournament (78-71)…since the start of the 2011-12 season, the Bears have won 96 wins, which is the 33rd-most among Division I teams over that span…senior Darious Moten and junior Ike Nwamu were named to the Southern’s 10-member All-Conference team while Stephon Jelks garnered a spot on the five-person All-Freshman squad…Mercer is 58-8 at Hawkins Arena since the start of the 2011-12 season. 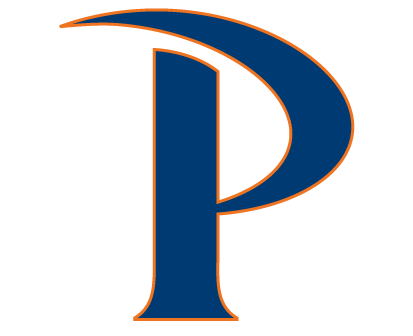 Pepperdine is having its best season in more than a decade, earning its first winning season since 2005, its first league winning season (10-8), its best West Coast Conference finish (fourth), its first WCC Tournament semifinal appearance since 2004, and the most overall (18) wins since 2002…the Waves are also making their first postseason appearance since the 2002 NCAA Tournament…included among the season’s highlights, Pepperdine recorded a season sweep of BYU and a road victory at Saint Mary’s…lead the nation in 3-point field goal percentage defense (.263)…yielding just 61.6 points per game overall, which is on pace to be the program’s best mark since 1961-62…junior forward Stacy Davis is a two-time All-WCC first-team honoree. The Highlanders are in the CBI for the second straight year, having won at Oregon State last season…Javonte Green became the third Big South player in history to reach 1,000 career rebounds and has 1,023 for his career…R.J. 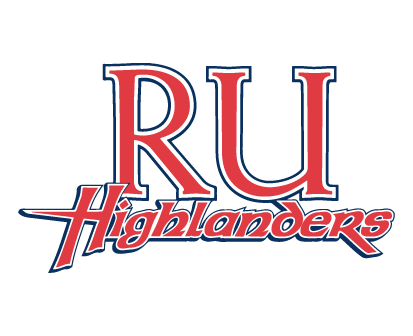 Price is fifth all-time in RU scoring history and reached the 1,600-point plateau and has scored 1,622 points in his career…Radford now has back-to-back 20-win seasons for the first time since 1998. 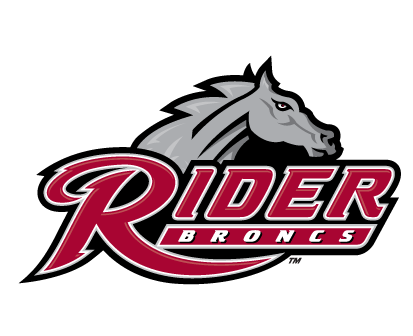 The Broncs are in the postseason for the sixth time in the last eight years…Rider tied a school record with 21 wins and set a program standard with 15 MAAC wins to place second in the league…head coach Kevin Baggett was the 2015 MAAC Coach of the Year and is a finalist for the Ben Jobe Award for the second time in three years…the Broncs placed center Matt Lopez on the MAAC’s All-Conference first-team and guard Teddy Okereafor, who was also named the MAAC’s Sixth Man of the Year…Rider is in the CBI for the second time, having played in the inaugural 2008 tournament. 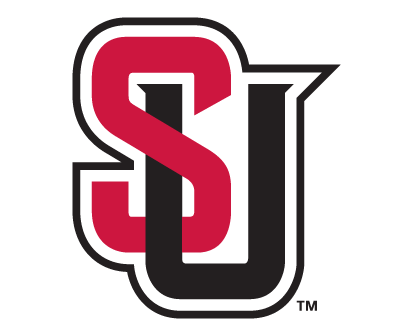 The Redhawks are 16-15 overall, including a 7-7 record in the Western Athletic Conference, the team’s best WAC mark since joining the league in 2012-13…head coach Cameron Dollar, a member of the 1995 NCAA national champion UCLA squad, is in his sixth season at the helm of the Redhawk program…two senior guards lead the team in scoring: Isiah Umipig at 17.0 ppg and Jarell Flora at 13.6 ppg…the two have combined to hit 184 3-pointers this season, ranking first and second in the conference…this is Seattle’s first appearance in a national Division I postseason tournament since the 1969 NCAA Tournament. 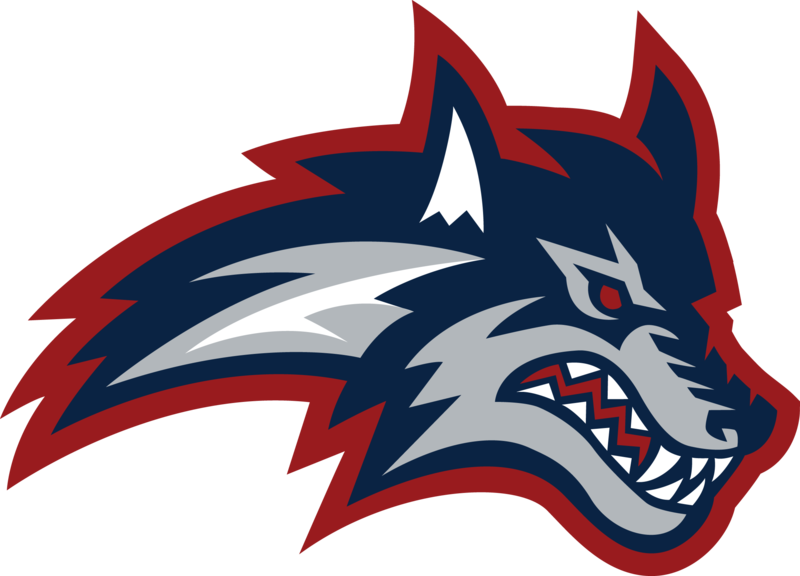 Stony Brook has won 20 or more games four-straight seasons and five out of the last six and advanced to the championship game of the America East Conference tournament for the second year in a row…since 2009-10, Stony Brook is second winningest program in metropolitan New York (130 wins)…the Seawolves feature a pair of 1,000-point scorers in juniors Jameel Warney (1,463) and Carson Puriefoy (1,060)…this season Warney became one of just six players in America East Conference history to earn the league’s Player of the Year award twice…he also garnered Rookie of the Year in 2012-13…this is Stony Brook’s second straight CBI appearance. 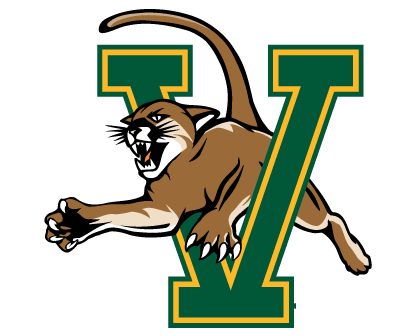 Finished in a tie for second place in the America East and advanced to the tournament semifinals before falling to Stony Brook…this is Vermont’s third CBI appearance (2009, 2013) and seventh straight postseason berth, the fourth straight under head coach John Becker…the Catamounts feature eight newcomers and seven freshmen on their roster, led by freshman Trae Bell-Haynes, who was named to America East All-Rookie team, and classmate Cam Ward, who garnered America East Sixth Player of the Year honors…sophomore Dre Wills, an America East All-Conference second-team and All-Defensive team selection, is one of the most improved players in the league.